I have been equipped with two narrow feet, high arches and a fairly neutral foot strike. I have also been given Morton’s Foot and Morton’s Neuroma. 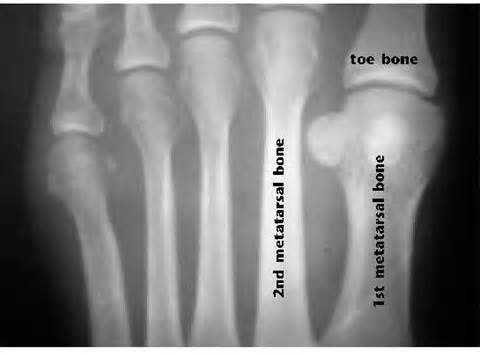 The “condition,” Morton’s Foot or Morton’s Toe Syndrome, is caused when either your first metatarsal (the bone which the big toe attaches to) is either shorter than the second metatarsal bone or is not stable; has too much mobility. A functionally shortened toe behaves just like a structural short leg, unbalancing the pelvis by dropping one hip lower. Physical stress from the abnormal posture can cause tiny knots in the muscles of the lower leg and calf, which cause similar pain as Achilles tendinitis and plantar fasciitis, among other ailments. Although many people associate the condition to having a longer second toe, it is entirely possible to have Morton’s Toe without the presence of a longer toe. It is the bone of the first toe being shorter that causes the problems regardless of the length of the second toe. Dr. Dudley Morton (1884–1960) was the first to identify the problem and a solution, the toe pad. He was granted a patent for the toe pad in 1932. Maybe like you, I had never heard of this before. Thru out history the long 2nd toe was referred to as a “Roman Or Greece Foot.” Before Dr. Morton ever wrote about the long 2nd toe in the 1920’s it was written about for some time in various places. One of the most interesting of these publications is the U. S. National Park Service pamphlet about the Statute of Liberty. In it, the history of the Roman and Greek foot, and the Morton’s Toe is given in regard to the feet of the Statue of Liberty. Fredric Bartholdi, the sculptor, was influenced by his classical training and gave the Statue of Liberty the Roman/Greek Foot. My first knowledge of Morton’s Toe came about as I was training for my first marathon. My toes kept going to sleep or going numb. A little research finally revealed Morton’s Neuroma, a condition that may occur as a result of irritation, injury, pressure – such as from wearing tight fitting shoes, or repetitive stress. Bingo. Runners get all the “repetitive stress” issues. Morton’s Neuroma manifests itself between the third and fourth toes most commonly and results in numbness or tingling around these toes or sometimes a sharp, burning pain in the ball of the foot. Somehow my research led me to the conclusion that one vitamin B-12 tablet each day would alleviate this condition….and it has completely. Once in awhile at the peak of training I may feel a pain in the ball of my foot but nothing a little rest or massage doesn’t alleviate. But now I’m realizing there is more to learn from Dr. Morton, unfortunately. In addition to the pain sent to the ankles and Achilles tendons, Morton’s Toe is claimed to be the culprit for everything from knee, hip, lower back and neck pain to fibromyalgia. Most distressing to me was that it is also possible it causes stress fractures of the metatarsals. What I have considered to be overuse and training errors explaining my numerous stress fractures over the years, may actually be the result of how God made me: a normal variation in the structure of the human foot eventually named by this man, Dr. Morton. Its ok. Imperfect doesn’t mean incapable. If you are one of the roughly 25% of the population who have Morton’s Toe Syndrome or 80% of the population that may have an elevated first metatarsal, check out some of the websites below for more information. Previous Post Will slow running drive you insane? I don’t believe I have this, but I love learning new thigns. Especially when they take my initial thought (that it was just a longer second toe/shorter big toe) and explain. So thank you for helping me learn something new today! It’s one of those little known facts that turns out to be a big deal. I thought I had put the topic behind me years ago. This week I realize it explains a lot more for me. Thanks so much for reading!